The FHA is no stranger to changing MIP rates. Since 2008, the agency has changed its annual mortgage insurance premiums four times. In 2008, the FHA charged 0.50% in annual MIP to home buyers using 30-year fixed rate mortgages and a 3.5% downpayment. Since then, those rates have climbed. For 2013, the FHA may get the ability to charge 2.05 percent for annual mortgage insurance premiums. This would be the highest annual MIP in FHA history. In addition, because the Federal Housing Administration Fiscal Solvency Act of 2012 establishes a minimum annual MIP of 0.55%, homeowners currently exempted from FHA mortgage insurance — those using 15-year FHA mortgages with 78% loan-to-value or lower — would no longer be exempted. Below are other related articles for you to be more familiar with this subject……. Any Takers? Yahoo Homes Reports a $100 Million Dollar Estate purchase & you cannot move in, Yet?! whopping $100 million price tag, although that does indeed put the home among the top five or so most expensive properties in the nation. (The most expensive is the Crespi-Hicks estate, in Dallas of all places, offered at $135 million.) No, here’s the real catch: You can’t move in right away. In fact, who knows when you’ll be able to move in. The property has been in the De Guigné family for 150 years. It’s currently owned and occupied by Christian de Guigné IV (pronounced de-GEEN-yay), who was born there 76 years ago, the Contra Costa Times reports, and doesn’t plan to leave the estate before he leaves this vale of tears. So it’s being offered with the stipulation that the new owner can only move in after De Guigné dies. Quite a contingency, that “life estate” arrangement. But here’s what the farsighted buyer will get: 16,000 square feet of living space and, perhaps more stunningly, 47 acres of land in Hillsborough, Calif., halfway between San Francisco and Silicon Valley — in one of the most expensive ZIP codes in the nation. The mansion was designed by architects Bliss & Faville and decorated by interior designer Anthony Hail. Its “grand-scale ballroom, living room, library and pavilion are aligned to open to a pool courtyard, revealing sweeping views of San Francisco and the East Bay,” the listing at Sotheby’s International Realty says. (My quote omits the listing’s inexplicably eccentric capitalization.) The listing doesn’t reveal the number of bedrooms and bathrooms, but it’s safe to say that the Contra Costa Times’ characterization of bedrooms as “numerous” is accurate. The real estate blog Curbed says the estate has seven bedrooms, nine bathrooms and a “flower-arranging room”; the Contra Costa Times puts the number of bathrooms at 11. And while $100 million might seem stratospheric, a new neighbor over in Woodside recently paid the highest on-the-record price ever for a home in the United States: $117.5 million, for an estate on a mere 9 acres. Designed to inform and help Homeowners understand how to work with No Cost Programs and No Advance Fee assistance resources available while obtaining information to make a more healthy decision for their family. You may RSVP at Events@PlatinumElite.com or call 702-675-3000. Statistics have already proven that AB284 slowed the Foreclosure Process for Nevada. However, the Real Estate industry has anticipated two indicators to reveal themselves, since this lull in the wave of foreclosures. 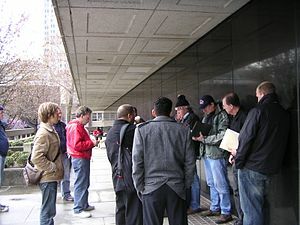 The first, is the expectation that the servicers and their investors would eventually extricate themselves from the burden of proof placed upon them, take the necessary steps, and obtain the certificates of foreclosure which is evident in the increase in Notice of Defaults spike reported by RealtyTrac via News 8, see the attached article. The second, that the Nevada legislature would be lobbied for substantial change, retraction, or amend the results of Assembly Bill 284, since it’s passage. This may already be happening, though we have not yet seen the language in any submitted legislation as it is in “BDR” Bill Draft Status. 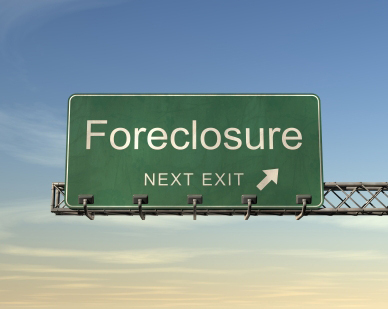 Revises provisions relating to foreclosures. The things that make you go, HMMMMM?!?! The Home Affordable Foreclosure Alternative or HAFA Program is only one of the solutions offered through Making Home Affordable or MHA offered by the Treasury Department. Many of us in the Real Estate Profession know the difference and understand these differences. However, where much of the confusion seems to stem from is the fact that the information is not getting to who it really effects, the homeowner. Furthermore, what further complicates our tasks in negotiating the Short Sale terms and conditions with the servicers and there investors, is that HAFA is, to them, an opt in program. Making Home Affordable or MHA and its Short Sale Program HAFA are continually undermined by this opt in, or as it is stated in the HAFA guidelines, Section 7.1 “Prior to approving a borrower to participate in a HAFA short sale, the servicer must determine the minimum acceptable net proceeds (Minimum Net) that the investor will accept from the transaction and in accordance with its HAFA Policy.” Thus, regardless the guidelines, regardless our disclosures, and regardless how hard we negotiate the terms and conditions of the purchase agreement with the servicers, they hold the final key to making or breaking each transaction on a case by case circumstance. For instance, just today, we received a HAFA approved Short Sale. However, based on the investors guidelines, as allowed by HAFA per section 7.1 of the HMA Handbook, the Servicer / Investor is removing the $3000 Homeowner incentive to attain their minimum NET requirements and will only contribute 6% or $3000 to the second lien holder, where HAFA guidelines allows up to $8500, again, the optional clause allowing servicers and there investors to write their own terms and conditions and still state that they are participating. No wonder Homeowners are confused when we explain terms and conditions of a short sale that have “Minimum Acceptable Guidelines” language in the MHA Handbook. The only real benefit that came from the HAFA guidelines through this HAFA approved Short Sale is the Release of deficiency. Now the Seller’s have to determine whether to move forward with the Short Sale Approval or not and we still have to determine if the second lienholder will accept the first leinholder’s contribution. MHA’s HAFA guidelines are established by the government to assist homeowners, with the “Option” of each Servicer and it’s Investors to participate in the program and to determine their own guidelines based on the servicers’ investor minimum NET proceed parameters. Freddie Mac and Fannie Mae no longer participate in the HAFA program as of December 31, 2012. The government did extend the MHA’s HAFA and The Mortgage Debt Relief Act for all other participating servicers / investors until December 31, 2013. The updated guidelines for HAFA effective February 1st of 2013, regarding processing time, predetermined hardship and credit score parameters will hopefully assist in negotiating Short Sale Transactions, however, keep in mind the “Option” card the lenders continue to hold in their favor. Lenders and investor that are not participating in the HAFA program may have adopted their own incentive programs that Homeowners may qualify for through their own Short Sale process. We tweeted this the other day, however, this information is important and needs to be followed through the Nevada Legislative process…. If we have additional information we will share it and we ask the same of others, please notify us if you have any additional information or new articles you wish to share?! State considers program to buy, resell homes near foreclosure – News – ReviewJournal.com. Platinum Elite Group of Las Vegas Nevada has launched it’s Blog Page…….. Welcome to Platinum Elite’s New Blog Page! Soon we will have our Blog Page Embedded in our Home Page while our Blog Page is under construction…. Have you seen our New Welcome Slide Presentation on Slideshare?